Another top class Figaro event and another collection of lessons to learn from, I’m coming away each time with more and more positives as my experience increases and comfort zones get pushed away. This race was a 400 mile offshore followed by 4 tight inshore races that tested every aspect of sailing and mental strength. It was a short hop across the English Channel from Cowes to Le Havre to park up next to 25 other Figaros. I was straight into the strict safety checks which is all went smoothly except for a new rule that required us to carry a satellite phone, this alongside our 3rd spare VHF radio, in our sealed and secured tubs. Another expensive addition that would never to be used and has only caused a lot of stress. The Offshore race was the longest course of the year so far at 401 miles. The route however was very interesting with big tides and headlands as we would race from Le Havre, past Cherbourg, around Guernsey, up around a mark off Plymouth, along to the Isle of Wight then down into Le Havre. With the wind direction it turned out to be a massive Olympic trapezium course, just a bit longer! We set off in very light conditions tacking regularly along an exclusion zone until a few hours in the wind turned off. The way I looked at it the wind would come back and favour the more offshore boats, so I set about drifting as fast as I could in that direction. To my delight I was right, and with some quick boat handling I was moving quickly with my kite up while the wind established itself. By night fall the whole fleet was moving together across the bay and towards Barfleur. I had taken a more direct route and technically was sitting in first place and leading the fleet. The boats that got to land first however made significant gains against the tide and got through. I was still sitting comfortably in the top 10 which was great. It was about 2am and the tide was on the turn now with positive tide inshore, this meant the whole fleet was tacking in and out of the rocks in what was now about 20 knots of wind. I had two dramas during this heated tacking battles. During one tack a spinnaker sheet had come free and was trailing out of the boat without my realising it in the dark. After one tack it seemed like a was losing control of the steering, and the rudders became very stiff. Very troubling with rocks and boats all around. I dived to the back of the boat to see my spinnaker sheet wrapped around a rudder, trapping itself between the top of the rudder and the boat. I lost a lot getting this free. Soon after I was slowed down again! Going 3 knots slower which is about half speed I jumped around the boat frantically trying to find the problem, checking the rudders again and eventually shinning a light into the water seeing some huge amount of rope or fishing gear this time wrapped around my keel bulb. After checking for other boats and rocks I pushed the boat into a crash tack, leaving the jib sheet on. The 20knot wind pushed the boat over on its side and backwards a bit, I recovered the boat and got her back to speed with the relief that this had worked first time. Once we had cleared this headland I was very frustrated in the number of places I had lost. I spent some time checking my race plan which at this point was to go offshore, while I saw most of the fleet going in shore. Again, I made a small split from the fleet and got some rest. When tacking back in towards the fleet I was very happy to see that I had made some places back and put some good distance on others. But this was short lived. We were now lining up for the Raz Blanchard or Alderney Race, home to one of the strongest currents in the world. Here I stayed conservative and tacked close to two other competitive boats. To my frustration and only learning afterwards I had sailed just slightly out of the strongest tide, I lost a lot of distance over that next hour. The racing was ridiculously tight racing around Guernsey tacking in and out of the small bays and again around the rocks. The fleet was tight also across the Channel towards the south coast of England. We hoisted our kites when we turned to the east towards the Isle of Wight and surfed the waves happily in the 20 knot breeze. Unfortunately, we didn’t get to see much of England as we seemed to sail inside a cloud for the whole race, reducing our visibility and constantly raining on us. I saw an opportunity to pass some boats as we sailed close to the Jurassic coast. After sailing within touching distance of Portland Bill I again took a more offshore route in search of wind and kept my eye out for some good shifts to gybe in. I managed to take 2 boats on this leg and be right on the transom of a 3rd for our crossing back to France. For the leg back to Le Havre we were tight kite reaching for hours which for eating, sleeping and doing anything else onboard is very difficult. As we got into our 3rd night of the race and just 30 miles to the finish the wind, as predicted, began to drop off steadily to absolutely nothing. It is one of the most horrible feelings to think you are so close to finishing, but the boat speed gets slower and slower. I was also spending a lot of time trying to get a clump of weed off my keel bulb again which was unbelievably frustrating. The fleet slowly split away from each other and I slipped back being passed by a few boats, for some reason I could not keep the boat going. Perhaps I had exhausted myself earlier on or positioned myself poorly for this shut down. I think it was a combination of the two. I spent hours drifting towards the next mark dreaming of a little gust just to finish the race off. As I got to the huge cardinal mark A5 the wind went from 2 knots to 0 and I was heading for a slow-motion crash against this mark with the tide. I put my legs over the side to fend off which I thought would be safe idea at this slow speed, but I underestimated the sheer size of this shipping marker and the weight of my boat which resulted in me almost breaking my foot off before I could get it out between the two objects. I could only push myself around and escaped with some cosmetic damage to the boat but a lot of pain to my ankle. I tested my flexibility and determined that I hadn’t broken anything but learnt a valuable lesson, never ever put any body part between two big heavy things coming together. Now about 4 am I was completely exhausted and mentally ruined seeing the boats I had raced next two over the last 2 days drift away out into the distance. Most of the boats had finished the race and I was now facing a turning tide. I took some more sleep and food and weighed up my options to retire from the race and motor in. Taking away some very valuable lessons for the future important Solitaire race and giving myself the rest I needed for the inshore races over the next days. It was a very difficult decision that in hindsight seems hard to explain, but at the time with the fatigue I was suffering from, I had slept just 5 hours in the last 3 days. I think it was the wise decision as the 15hrs of un-interrupted sleep on shore showed. 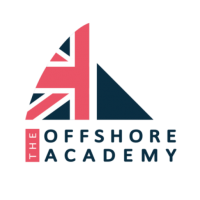 On from the challenging offshore the inshore series of races were absolutely great. Fast, exciting and close with every skipper trying to gain an extra boat length around the course. It reminded me of my Olympic 470 racing, except all the skippers were alone in 33ft yachts that would normally be raced like this with a team of 5 or more. Tight start lines with close tacks, even closer mark roundings and quick kite hoists. I felt fit and strong for the boat handling manoeuvres, but I would still be out of breath after the last few pulls on the mainsheet at the leeward mark. My overall result was 23rd out of the 26 boats which on paper was a disappointment. But the amount I learnt on the race course was fantastic and my confidence has increased. I have shown good speed and solid boat handling manoeuvres along with some pretty solid tactics in most places. If I can just put it all together consistently over a 4-5 day offshore race then this years Solitaire du Figaro in August could be a great success.